The lineup of SUVs for the 2015 model year is incredibly versatile, durable and exciting because of all of the fun features that are standard and available. There is a ton of advanced technology available for 2015, which means drivers can remain connected wherever they go. But how do you know which SUV to pick? There are so many options, it can become overwhelming. But, that’s why we’re here! At Attrell Toyota, we took two popular SUV options, pitted them against each other, and what we found was quite interesting. When comparing the 2015 Toyota Highlander vs 2015 Nissan Murano, the Highlander is a winner almost across the board in terms of space, seating, affordability, standard features and power. There are a number of reason to get the 2015 Toyota Highlander, depending on what you need from a vehicle, but we bet you won’t be able to find many reasons NOT to get it. See all of the models and colors available in our current inventory by clicking the button below! The 2015 Highlander is one of those vehicles that you can’t just disregard because it serves so many modern-day purposes. It can seat up to eight, which means you don’t have to worry about squeezing everyone in, it has available roof racks for bikes or other outdoor activities, it handles well and it is efficient, which means drivers can spend less time and money at the gas pump. This is a win for everyone! 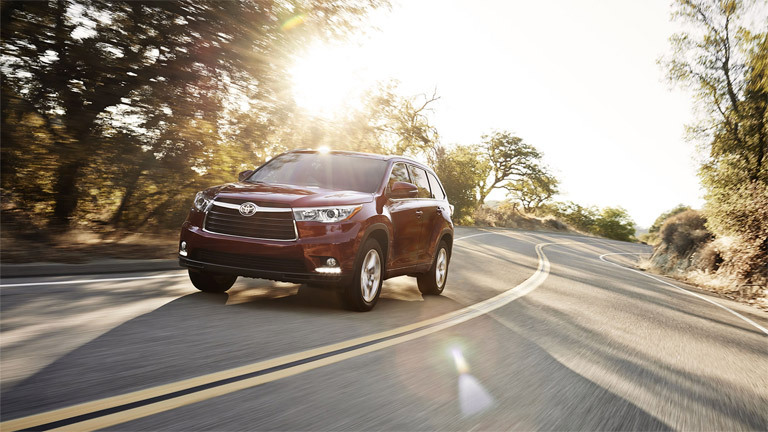 The 2015 Toyota Highlander offers style, speed and strength for everyone. Some of our favorite features of the 2015 Highlander include its 3.5L V6 engine that makes up to 270 horsepower, its exciting maximum towing capacity, a rearview backup camera and a touchscreen display audio system with Bluetooth capabilities. There are also a number of safety features we enjoy with the 2015 Highlander, including eight airbags, an available blind spot monitor and a rear cross traffic alert system. Test drive the 2015 Toyota Highlander today at Attrell Toyota!